For changing the name of a village or town or a city, an executive order is needed. The renaming of a state requires amendment of the Constitution with a simple majority in Parliament. The Yogi Adityanath-led government had proposed the change in name of Allahabad to Prayagraj. NEW DELHI: A fortnight ahead of the ‘Kumbh Mela’, the Centre has approved the renaming of Allahabad as Prayagraj as sought by the Uttar Pradesh government, the officials said on Tuesday. The decision came more than two months after the state government, headed by Chief Minister Yogi Adityanath, took the decision to rename the historic city as Prayagraj. The central government has given its consent for renaming of Allahabad as Prayagraj about 10 days ago, a home ministry official said. The ‘Kumbh Mela’ in Prayagraj will start on January 15 on ‘Makar Sankranti’ and will conclude on March 4 on ‘Maha Shivaratri’. The central government has given consent to the renaming of at least 25 towns and villages across the country in the past one year. The renaming proposal of UP’s Faizabad district as Ayodhya is yet to be received from the state government. A proposal to rename West Bengal as ‘Bangla’ is pending as the Ministry of External Affairs is understood to have expressed its reservation over the new name, as it sounds similar to Bangladesh. A decision in this regard is expected soon as the general election in the neighbouring country concluded on Sunday. The Union Home Ministry considers the proposals of name change according to the existing guidelines in consultations with agencies concerned. 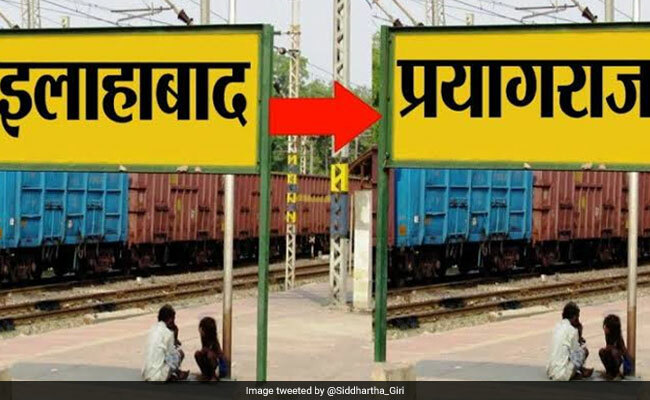 It gives its approval to the change of name of any place after taking no-objections from the Ministry of Railways, Department of Posts and Survey of India. These organisations have to confirm that there is no such city, town or village in their records with a name similar to the proposed one. This entry was posted in Kumbh and tagged Allahabad, Kumbh, Prayagraj, YogiAdityanath.